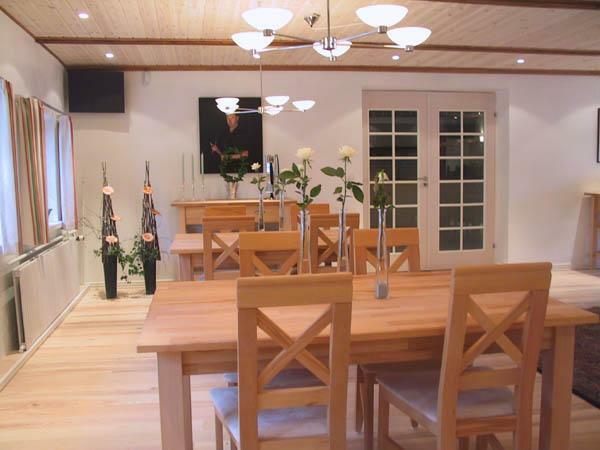 During the fairs it might be difficult to find a restaurant in Herning, but as guests with best-bed you are always ensured a place in our restaurant. It is namely exclusive for our guests. Here you may have a first class meal to a very nice price. We serve dinner between 6 and 10 p.m.
Feel free to invite your business partner to a dinner. We have 4 seats per room. Breakfast is normally between 07:00 and 09:00 but if you want if earlier og later, just tell us.